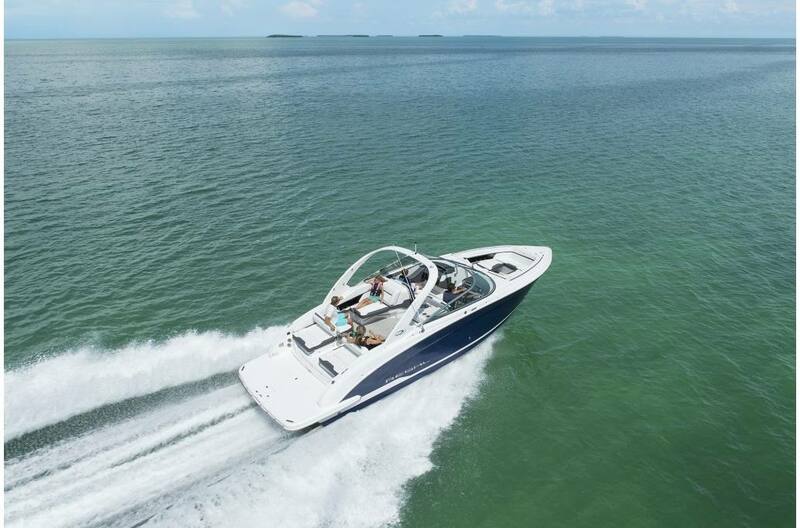 Regal created a whole new category with the introduction of the 3200 — Day Yachting. 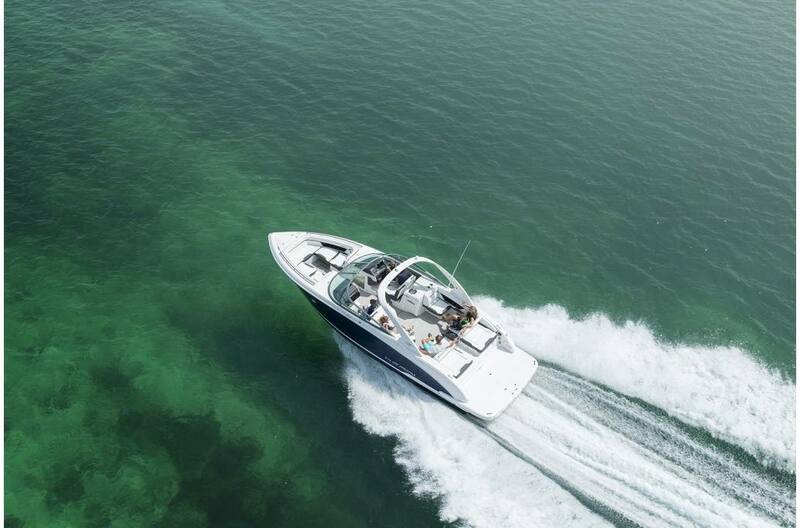 Yacht amenities combined with seating and lounge space for up to 18 – it’s the perfect platform for big water, big crowds and the best of open entertaining. 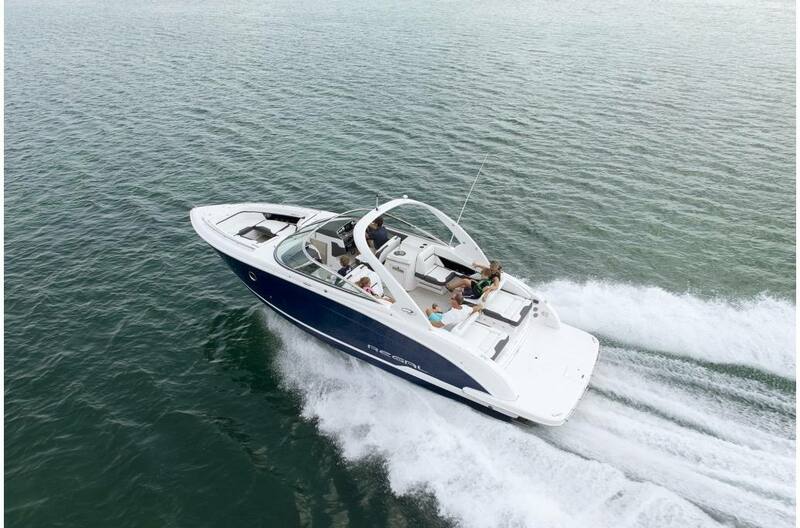 So, if you’re looking for a better way to experience day cruising, it’s time to chart a new course with the Regal 3200. Enclosed Full-Size Head: This head won't feel like the average bowrider's, but then again the 3200 is not an average bowrider. Walnut cabinetry, vessel sink and soft step floor are just a few of the standard amenities. 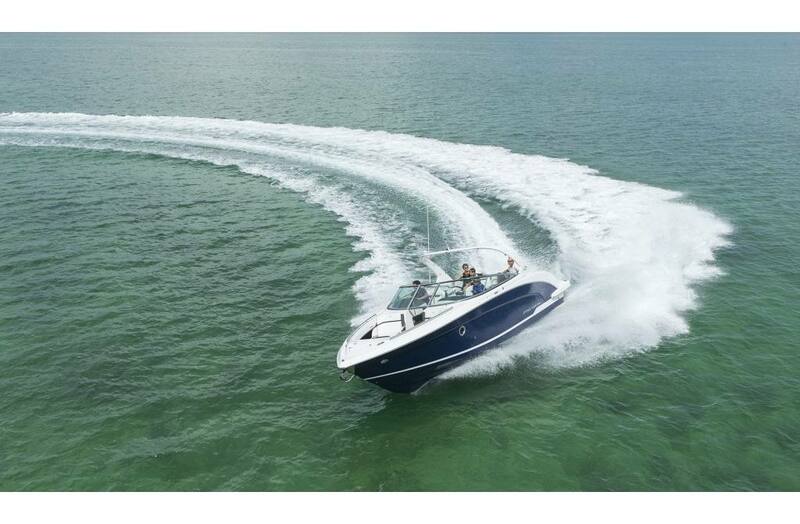 Dual UltraLounges: Two 6 position UltraLounges give you the most versatile transom in boating. Refreshment Center: When you're ready to entertain, the refreshment center is the perfect place to set out the lunch buffet and allow easy access to the cooler. 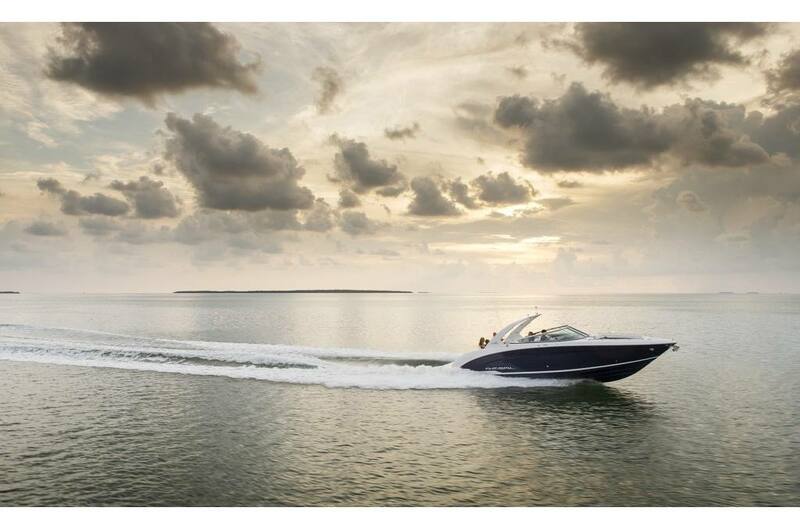 PowerTower: Regal's innovative PowerTower comes standard on the 3200. As it folds electrically with a touch of button, you're reminded that you wouldn't have it any other way. 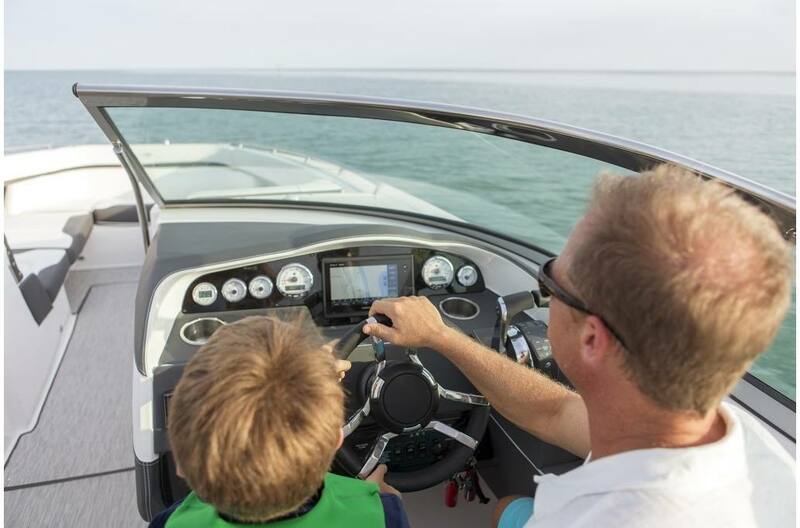 Fusion UD750 Marine Stereo: The Fusion radio has full integration for your smart phone, which can be enclosed in a waterproof uni-dock, and has AM/FM radio capabilities. 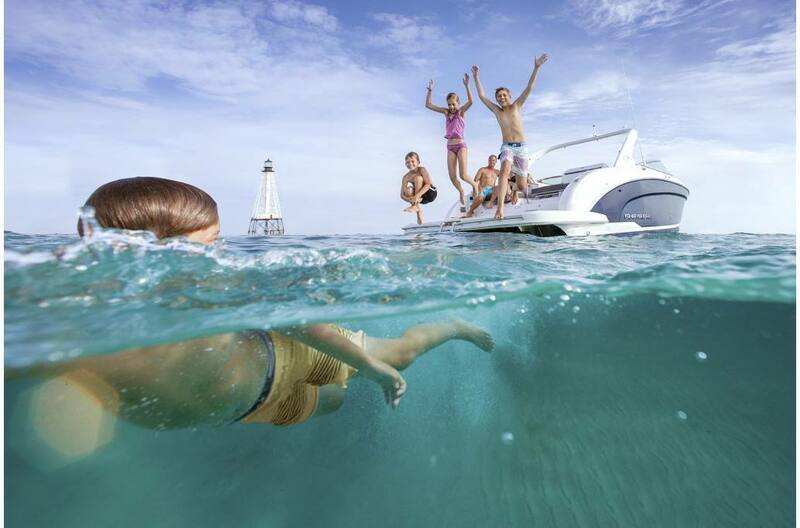 Battery Charger: Standard is a 110V battery charger, perfect for those who leave their boat in the water for long periods of time. Black Cherry Cabinetry: Regal heads are just another representation of luxury, with black cherry cabinetry throughout. Vessel Sink: This head won't feel like the average bowrider's, but then again this isn't an average bowrider. 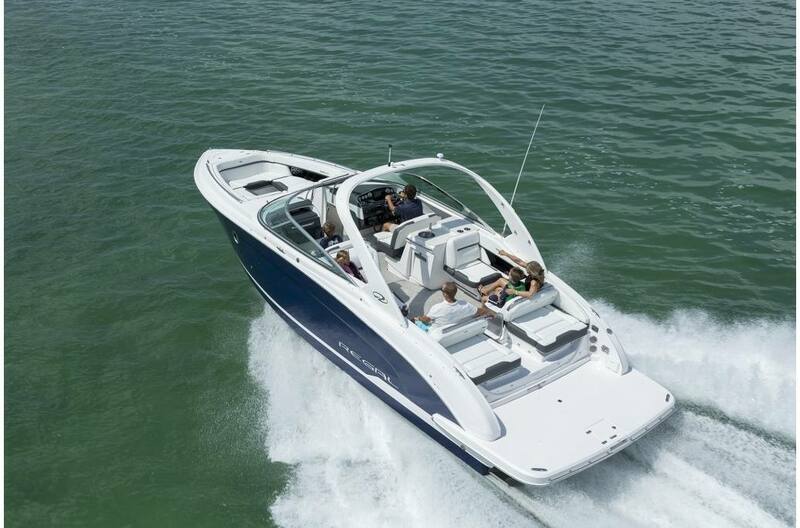 Arena Seat: Arena seating offers maximum storage space as well as the best seat in the house for viewing the water sports action. Center Line Walk-Thru: The transom walk-thru saves your upholstery from being trampled on. Bow Cooler: The bow cooler gives you extra room to keep your ever expanding guest list happy. Double Wide Companion Seat: You know you have a something special when there are two double wide seats facing forward in the cockpit. Dual UltraLounges: Enjoy the transom in any position with these dual, 6 position, reversible UltraLounges. Floor Storage Lockers: The 3200 features two floor storage lockers; nothing has to be left at the dock. Refreshment Center: When your ready to entertain, the refreshment center has plenty of room for meal preparation. 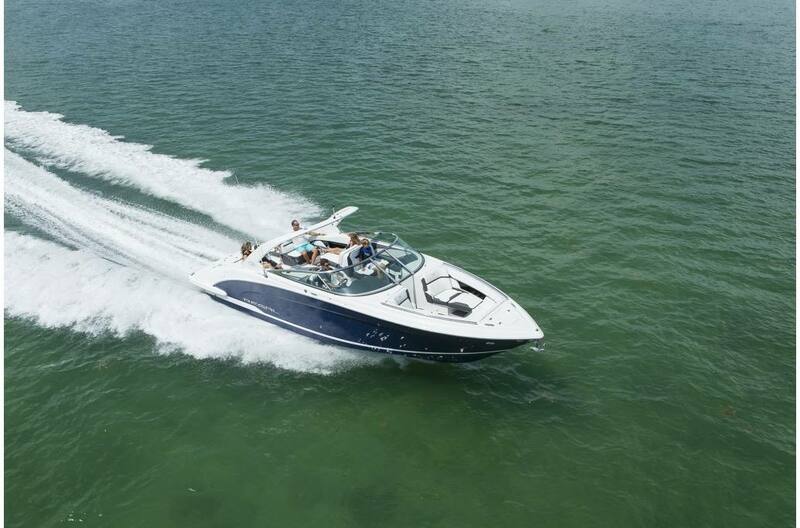 Walk In Storage Locker: The walk in storage locker gives you space to store all you need for a great day on the water. PowerTower: Standard tower folds electrically with a touch of button. 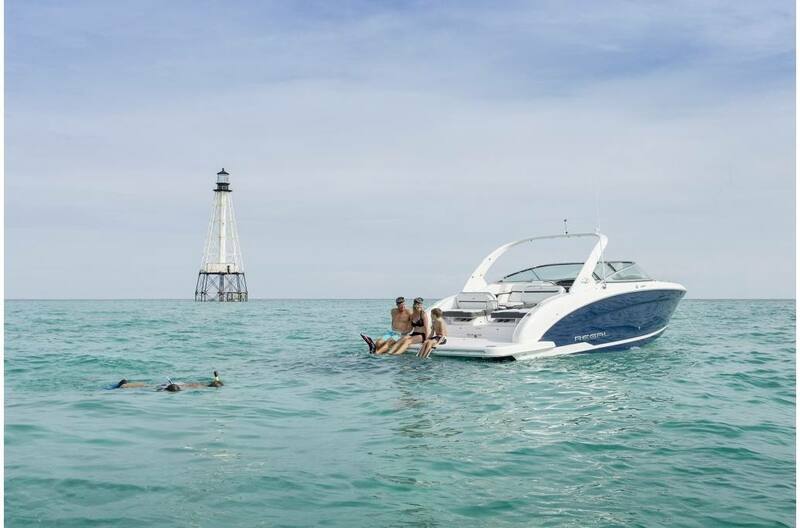 Tower Sunshades: The 3200 Tower Sunshades will keep you out of the sun on warm day, while leaving your boat looking stunning. Windshield Wiper: No need to fear the rain with a standard windshield wiper. 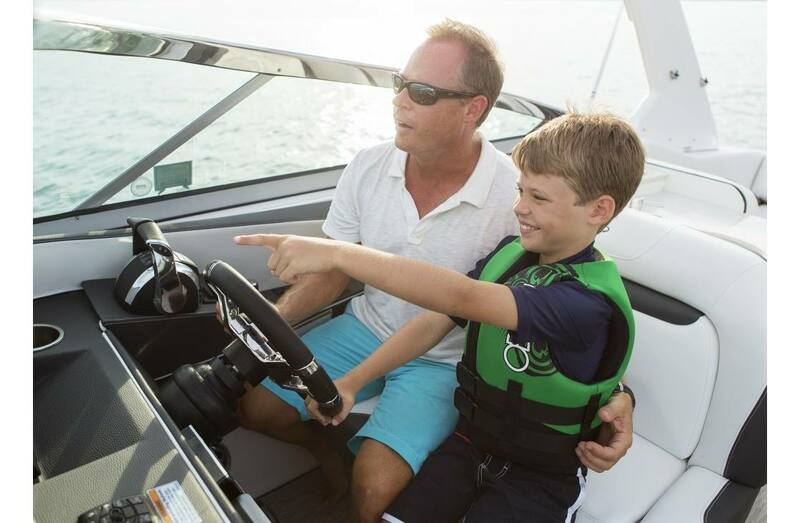 Premium Package - The Premium Package includes an anchor windlass, bow filler cushion, cockpit table, and storage mats. Water Sport Tow Pylon - SS - For the water sports enthusiasts looking to ski or tube, the tow pylon is a must. 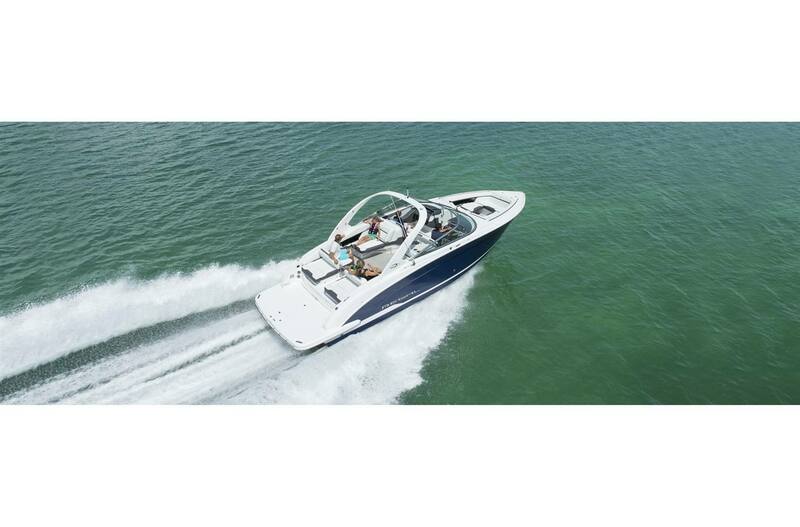 Flexiteek for integrated and extended Swim Platform - A favorite with boaters, this addition creates a classic look. 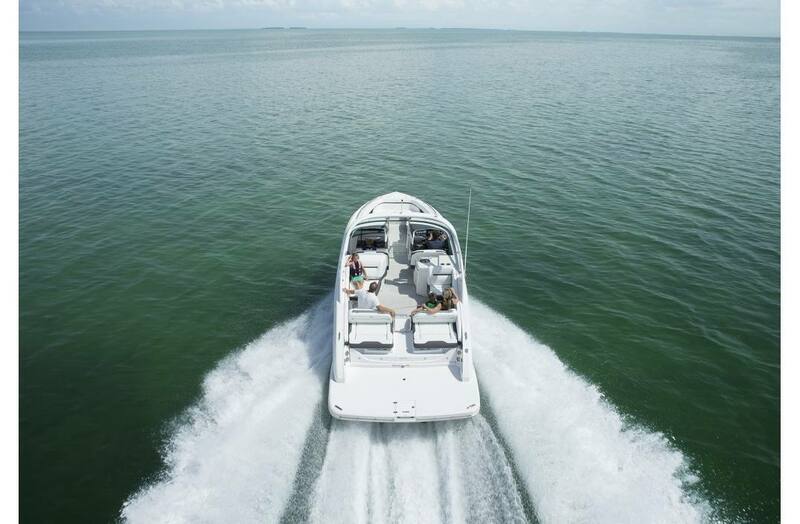 SeaDek for integrated and extended swim platform - SeaDeck keeps your transom protected and gives a soft cushion for your feet. Easily cleans to look like new. Teak Inlay - Integrated and Extended Swim Platform - A favorite with boaters, this addition creates a classic look. Stereo Satellite Tuner with Antenna - The satellite radio gives you the ability to find the station that is just right for you. 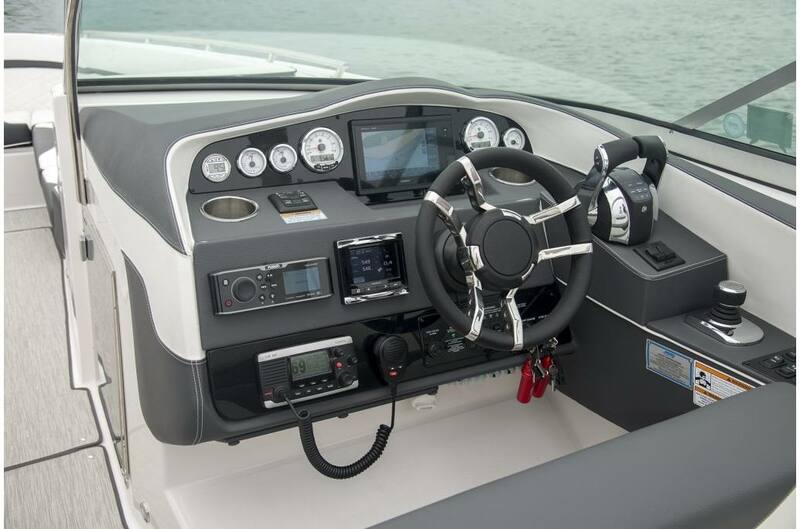 Garmin GPS 7608 Chart Plotter - Built for peace of mind when it comes to boating in unfamiliar waters and integration of wifi connectivity for your mobile device.